Leave it to TravelZap to plan your next corporate trip or conference. Corporate group trips to our all-inclusive resorts are the best way to host retreats and boost morale while staying in some of the most stunning beachfront locations in the world. By booking with us you’re guaranteed flexible booking and low prices, so you can spend more time planning your trip. Each corporate group receives a dedicated agent, who ensure the best prices, and coordinates all of your travel and rooming accommodations. Our wide array of all-inclusive resorts can cover all of your needs, and from Mexico to Costa Rica, we can find that perfect destination that’s both cost-friendly and breathtakingly beautiful. We can even set your group up with an event planner, so you can host cocktail hours, private dinners and more. 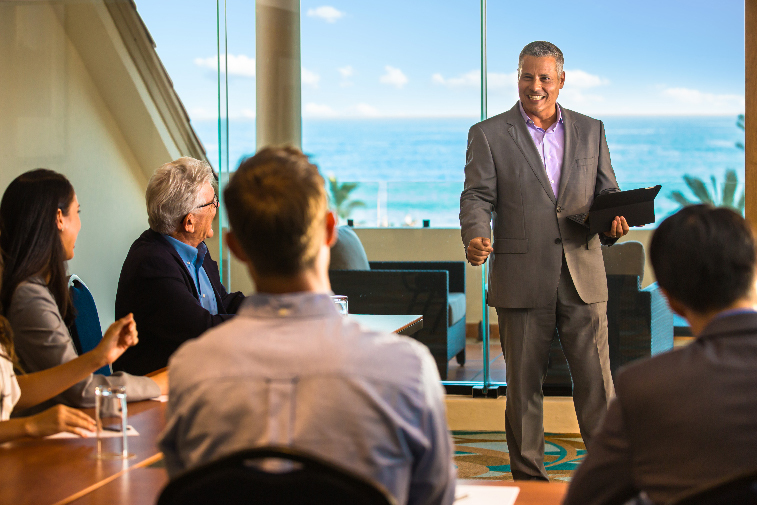 Event teams can prepare your meeting or seminar with projectors, flat screen TVs and any other technology you’ll need to take your presentation up a notch. Some of the events spaces our resorts feature are awe-inspiring, featuring ocean views and gourmet food. In the downtime, there’s no shortage of things to do for guests, from delicious a-la-carte restaurants to beach parties, casinos, and nightclubs. Hosting an all-inclusive corporate retreat will prove to be an unforgettable experience for your entire organization. We can make sure your corporate trip fits within your budget constraints. We offer low deposits to lock in room rates, and payment plans are available to make paying for a trip easily affordable. Each corporate group receives their own custom website, where travelers can find resort information, room categories, and even be able to pay deposits and make payments directly.